A mixture of soft-coloured eclectic flowers with succulents that can be planted for an everlasting, sustainable gift. Including a gorgeous hessian-wrapped glass vessel (included in price). 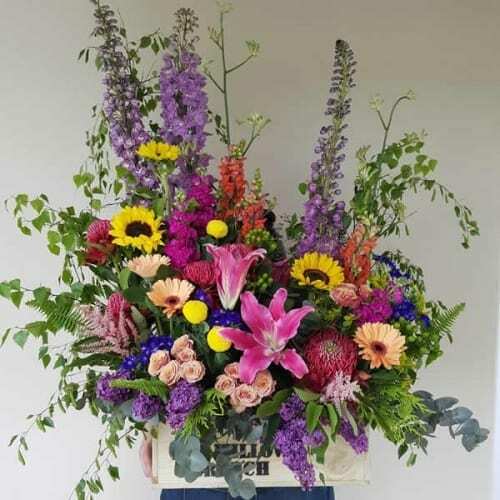 The pictured bouquet includes veronica, dahlias, succulents, echinops, anthuriums and dusty miller.